The BASI Pilates® Foundation Apparatus Program gives students a thorough knowledge of Pilates mat as well as a solid foundation in the Pilates Method on the various Pilates apparatus. The Foundation Apparatus program is a prerequisite for BASI’s renowned Graduate Apparatus Program. Mat Teacher Training is part of the Foundation program and completion of this program allows students to pursue a Mat Pilates teaching certificate. A certificate for the Comprehensive Program is awarded after completion of both Foundation and Graduate Programs. Students who sign up for both the Foundation Apparatus Program and the Graduate Apparatus Program will receive a $200 discount on the Graduate Program deposit fee. The BASI Pilates® Graduate Apparatus Program is for students who have completed the Foundation Apparatus Program.More than simply a program of study, the Graduate Apparatus Program is an exciting and challenging immersion into the art and science of Pilates. In this program students gain knowledge of Pilates theory, exercises, and teaching skills on all the Pilates apparatus, including BASI’s F2 System®. 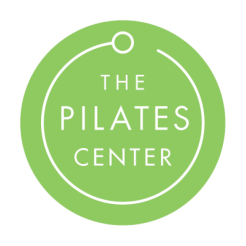 The Graduate Program will qualify graduates to pursue a comprehensive teaching certificate and to teach up to advanced level students on the full complement of standard Pilates equipment. The BASI Pilates® unique approach to Mat Work as the foundation of the Pilates method permeates this exciting course. Taught to be applicable in many different settings and environments, it covers a very wide repertoire of Mat Work exercises and the integration of small apparatus. BASI encourages students to regard the Mat Work course as a springboard to the Graduate course. For qualified Pilates professionals, BASI Pilates offers a comprehensive apparatus program, Advanced Education studies spanning specialization in specific facets of the method, master-level workshops and international symposiums. BASI Pilates endeavours to secure continuing education credits from the Pilates Method Alliance (PMA) for participants in these courses. Today, the BASI Pilates network extends to over 30 countries and encompasses thousands of graduates. Teacher training courses are on the go constantly, in over 100 locations around the world. Our faculty and hosts are unsurpassed as teachers and mentors, and our administrative staff are dedicated to the support and welfare of our students. Ultimately, it is the people that make BASI Pilates the singular company that it is. Welcome to the BASI family! Rael Isacowitz is a teacher of teachers and is recognized internationally as a leading expert in the Pilates method, having lectured and taught in universities, colleges, clinics and studios world-wide. He received his teaching credentials and Bachelor of Education degree in Israel, at the prestigious Wingate Institute of Physical Education, and his Master of Arts degree in Dance at the University of Surrey, England. In 1989, Rael established Body Arts and Science International® (BASI Pilates), as a means of preserving the legacy of Joseph and Clara Pilates, while complementing their method with contemporary scientific knowledge. Under his guidance, BASI Pilates has become a world leader in Pilates education. Rael has published widely, including Pilates, the authoritative book on the method. He has served on the Board of the Pilates Method Alliance® and has been a driving force in several initiatives advocating educational standards in the Pilates community. With a rich background as a dancer, athlete, yogi and Pilates practitioner, Rael brings to his teaching unparalleled expertise, combined with a passion for his work.